On 10 June 2015 the shareholders of Delta Property Fund Limited (Delta or the Fund) approved the appointment of Delta Property Asset Management as its new asset management company. Delta Property Asset Management has established a trust for the benefits of certain of the Delta Manco’s black employees and as such the Trust has become the sole shareholder of Delta Manco. Delta Property Asset Management boasts exceptional BEE credentials and a track record of cost efficient management of a large portfolio diversified across all the provinces of South Africa. The asset management team has collectively over 75 years of property experience. Apart from its asset and property management experience, Delta Property Asset Management boasts a large in-house team with considerable expertise in legal, financial, corporate finance, property management, facilities management, project management and marketing fields. These functions have augmented Delta Property Asset Management’s proven ability of identifying and refurbishing assets in nodes attractive to empowerment sensitive tenants. It further adds value by negotiating supply and maintenance contracts on a national basis. Delta Property Asset Management has been instrumental in establishing Delta’s growing property portfolio and positioning the Fund as a landlord of choice to government and the South African Revenue Service (SARS). Sandra holds a B. Comm (Accounting) degree and an MBA from University of Potchefstroom. 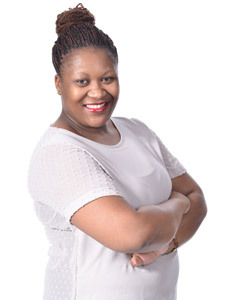 She joined Motseng Property Services in June 2008 as the Financial Manager of Westgate Regional Shopping Centre and subsequently moved to Delta Property Fund as an operational asset manager at the time of listing. She has extensive operational knowledge of the Delta properties and has specialised skills both in day-to-day operations and the Due Diligence process of new acquisitions. She has over 20 years’ experience in a broad range of financial positions of which 10 years have been spent in the property sector. 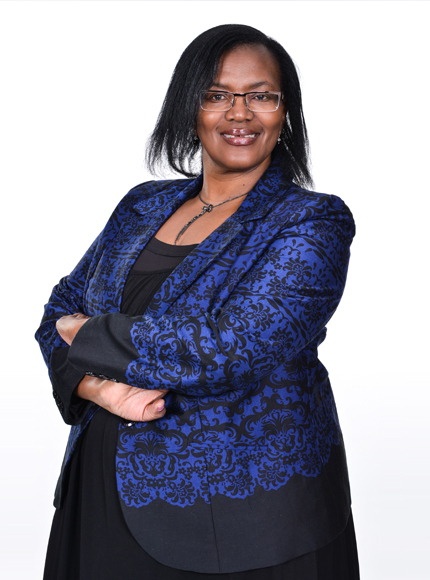 Prior to joining Motseng Property Services, she was the acting Chief Financial Officer of Propnet (now Transnet Properties) and has held various Financial Management positions with corporates such as Sasol, Eskom and SA Breweries. She has recently been appointed Head of Operations (Asset Management). Her responsibilities span the depth and breadth of the business with a focus on the operational asset management function of the fund’s portfolio. 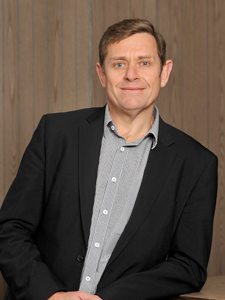 Andries is currently the Head of Capital Projects within Delta, responsible for all Property Development Projects. Has over 20 years’ experience in Projects gain through working for /heading up project management companies. Has been in various positions within AECOM from Senior Exec, MD and Heading up the African Business responsible for all Capital Projects and Business Development. Over 20 years of property experience in retail, commercial and Industrial space. Held positions as Centre Manager for Garankuwa Shopping Centre and the Eastgate Shopping Centre (1st Black Centre Manager). Experienced in both leasing and property management. Undertook lease verification and provision of strategic advice projects for PetroSA, Johannesburg Fresh Produce Market, Limpopo Development Corporation, Gauteng Industrial Park under Business Partners. He was also involved in the Newtown Cultural Precinct Development in JHB. Various certificates in Finance and asset management. Currently completing MBA Construction and real estate through UCEM UK Reading. Over 15 years of experience in the Property Sector including commercial, industrial, and retail. Started focusing on the real estate industry from 2002 by joining Wayland Properties in role of Financial Manager and Property Asset Manager dealing with property strategy and Fund management. Held positions as Accountant, Financial Manager and later Property Asset Manager for the MMI group policyholder properties at Eris Property Group. A director for Merchant Place Sandton 2012- 2014. Joined Delta Property Fund in September 2016 as Senior Asset Manager. Beston holds a Master of Science in Development Planning, a Bachelor of Science in Property Studies and Business Accounting & Finance for Managers. 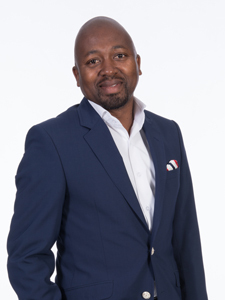 He joined Delta Property Fund in April 2017 as Senior Operational Asset Manager, focusing on the KZN, Free State and Northern Cape portfolios of the fund. 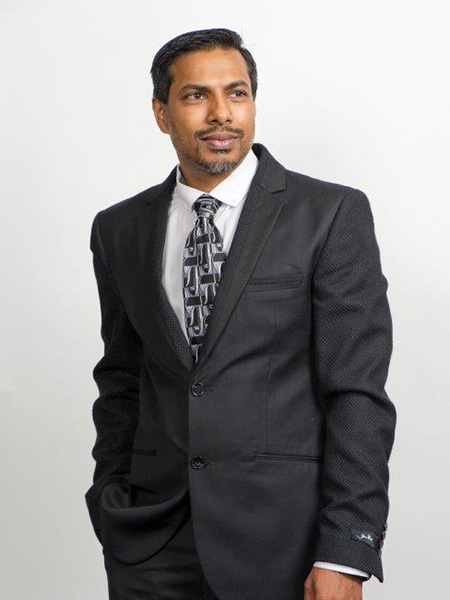 He has over 15 years’ experience in the property sector having started as a Senior Town Planner at the City of Johannesburg, later moving to Transnet Properties as Manager Property Development and Portfolio Manager. He joined Tongaat Hulett Developments as Development Executive where he spearheaded developments around Gateway and the rest of the Ridge area, for six years. He was a Chief Executive Officer of Itawa Property Solutions, a private property management, property development and investment entity. 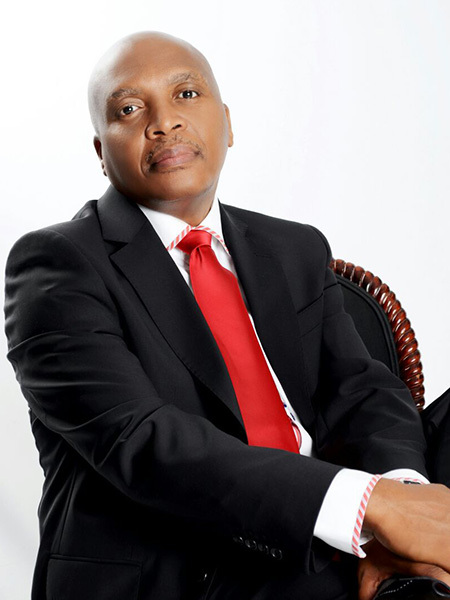 Prior to joining Delta Property Fund, Beston was Group Properties Executive at Ithala Development Finance Corporation, a development finance institution(DFI) a government entity which owns and manages assets in KZN is excess of R8billion in value. He was responsible for strategic management of assets and team, being also a member of EXCO, reporting into the Group Chief Executive and accountable to the Board. 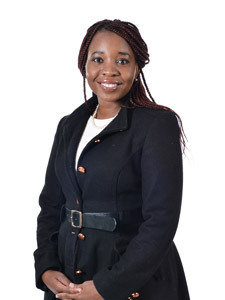 Tarisai holds an Honours degree in Financial Analysis and Portfolio Management from the University of Cape Town where she was also a research associate for the London School of Economics and the World Bank. She has extensive financial and analytical skills in conducting market analysis and benchmarking to optimise costs and processes utilising best practices in the local and global industries. She was a consultant for SA Strategic Sourcing Consultants at Eskom from 2012 to 2014 where she focused on developing sourcing strategies and optimising operating models and processes. Prior to that she founded Indigenous Knowledge Systems Trust of South Africa (IARIIKSSA), a consulting services organisation where her responsibilities were to perform detailed analysis, forecasting, planning resource allocation and implementing sustainable strategies. Having graduated from Monash University South Africa with a BComm (Accounting Sciences), Rochelle holds her AGA (SA) designation. She completed her SAICA articles in March 2013 at Faitz Chartered Accountants at which time she undertook the role of Audit Supervisor. There she was exposed to various facets of auditing private entities, government departments and SETA’s (on secondment to the Auditor General of South Africa), and also the financial reporting, accounting and tax environment. Subsequently, she completed a Certificate in Property Investment and Practice from the University of Witwatersrand and is currently studying towards a CIMA qualification. She joined Delta Property Fund in April 2013 as a bookkeeper, where her combined experience was an asset to the Delta finance team in her role as bookkeeper. 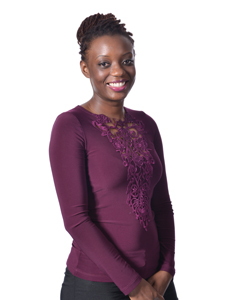 Subsequent to joining, Rochelle was promoted to the Financial Accountant within the same department where she worked for 3 years. Her commitment and hard work have seen her grow to her current position as a Junior Investment Manager. Godfrey was appointed as a Junior Operational Asset Manager in Feb 2016. He started with Delta as a learner and has gained experience through extensive internal and external training into the Asset Management division. 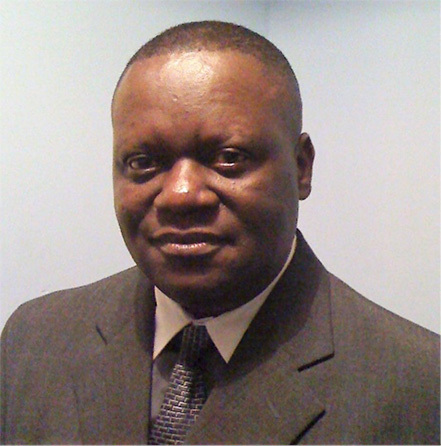 Currently Godfrey is responsible for Operational Asset Management administration from reporting, coordination and project management. He is also responsible for liaising with service providers and our external property managers for reports consolidation. Over 10 years’ experience in operation and facilities management in the Commercial, Retail and Industrial sector. She held Senior Administrative roles within Facilities Management at Nedbank, Old Mutual Property, Delta Property Service and Motseng Property Service respectively. Some of the responsibilities included managing a FM helpdesk and contract management of soft services. In October 2015 she was appointed as Junior Facilities Manager for Eskom Pension & Provident Fund Office Park and SEFA Portfolio at Motseng Property Services. Now she has re-joined DPAM in January 2017 as a Junior Operational Asset Manager and currently assist the Operational Asset Management team with administration, coordinating and consolidation of reports from external property managers. Vernon has over 20 year experience in Procurement and Supply Chain Management. Having worked for the Department of Public Works, City of Johannesburg he has managed the Projects, Infrastructure Support, Roads and Works as a Director of Supply Chain. Also has vast experience in facilities management gained from the Infrastructure Development Department where he managed major Capital Projects for the department. 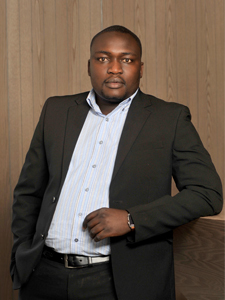 Vernon is currently the Procurement Manager for Delta responsible for the overall Procurement function of the group. 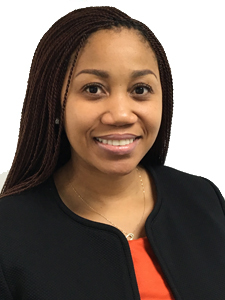 Mosa is an Admitted Attorney of the High Court of South Africa and the legal manager for Delta Property Asset Management, a position which she has occupied since August 2015. She holds a Bcom Law, LLB and Advanced Certificate in Corporate and Securities Law. She completed her articles of clerkship at Schindlers Attorneys in Johannesburg where she was later retained as an Associate. She is responsible for all legal related matters for the fund as well as the internal property management company, including but not limited to drafting, reviewing and advising on various commercial agreements, due diligence investigations, briefing external attorneys on potential or pending litigation matters, reporting to the management committee on legal risks and exposure, and overseeing the transfer process in respect of acquisitions and disposals. Mosa works closely with the investment and operations teams and also serves as a member of Delta’s management committee.